Pastor of First United Presbyterian Church, Richmond, VA.
An interactive and informative radio broadcast of Heart Enchanters Ministries, Inc. Listen every Sunday at 4:00PM est. 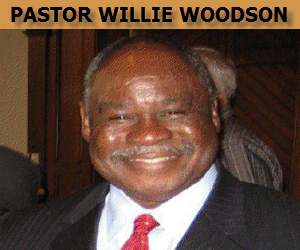 Pastor Woodson has labored in the ministry for 30 years and now serves as Pastor of First United Presbyterian Church, Richmond, VA.
A Word From God with Pastor Willie Woodson airs every Sunday at 4:00PM EST.